Taller magnetic fields mean you’ll be able to drop your phone directly onto your counter, desk, or car console to get more juice. 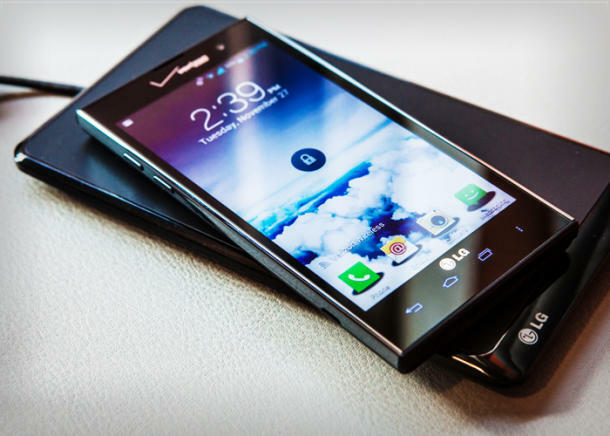 Smartphones, like the LG Spectrum 2, have wireless charging capabilities built in. The wireless charging stations of today are either small, flat surfaces upon which you position your phone, or laptop-size spaces that can fit more than one device. You must lay your smartphone or tablet just so to see the full effects of the charge. A bump or slip makes charging less efficient, which means it will take longer to charge your phone cable-free. The Alliance for Wireless Power (A4WP) is working on a next-generation wireless charging technology that can not only power smartphones and tablets laying directly on a charging pad, but can also throw its magnetic charging beam upward. A taller charging field means you’ll be able to place items less precisely, or even stack devices to get them to charge. It also means you’ll be able to boost the battery on irregularly-shaped devices, like a smart watch, connected wrist band, or Bluetooth headset without them directly touching the charging surface. Vertical charging will also enable a reality where after-market charging pads live beneath a surface, and throw their beams skyward to reach the device. Your office desk, kitchen countertop, the table in your company’s conference room, or your car’s center console would be ideal spots to activate a farther-reaching form of wireless charging. The next step will be building these terminals directly into or below common surfaces from the get-go. Of course, the further away from the source you get, the weaker the charging current becomes, and the longer it will take to complete the charge. 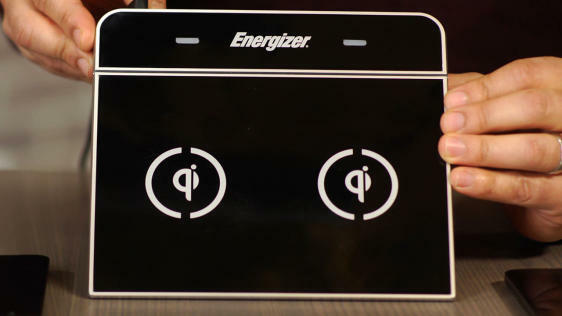 Energizer is one brand that makes large inductive-charging pads like this. One secret for this more powerful evolution in wireless charging lies in the relatively larger size of the coils that loop within the charging space on the smartphone back or slip-on cover. Larger coils don’t require the spot-on positioning that today’s charging pads do, A4WP says, and can help create a vertical magnetic charge. In a nutshell, the A4WP backs what it’s calling a “resonant technology,” which it describes as a broader form of today’s inductive charging. Apart from gaining greater spatial flexibility from a wireless charge, A4WP says that it charges devices quicker than today’s inductive charging, and can avoid overheating devices. My colleague Roger Cheng recently took a close look at all three groups in action, and offers up a terrific breakdown of the pros, cons, and positions of each. For its part, products developed using the Alliance for Wireless Power won’t appear until 2014 at the earliest, which means that smartphones and tablets will continue to use other inductive charging protocols for now. Furthermore, the A4WP sees itself as the future, one that both the Qi Consortium and Power Matters Alliance, or PMA, will need to work with as both develop their standards going forward.